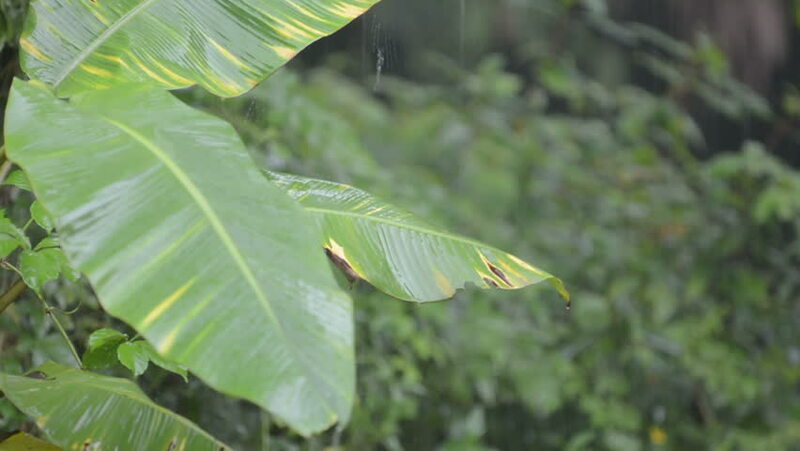 Heavy rain in the tropical rainforest damaging a banana leaf. hd00:08A close slow motion shot of rain doplets on the big leaves. This is located at the forest in Bali. hd00:20Rain water drops on banana leaf. hd00:14Tropical rain on banana leaves. Slow motion water droplet bounce. Climate changes. hd00:09 Green wind blows into the sun and is natural.